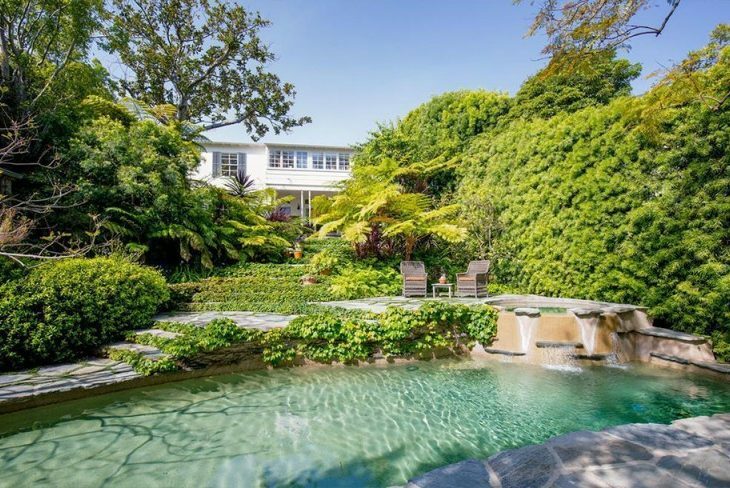 TV and film director Craig Gillespie has listed his Los Angeles-area home for $7 million. The “I, Tonya” director picked up the updated 1930s-era Brentwood-area home for $3 million in 2003. The blue-shuttered Traditional stretches to 4,600 square feet, with four bedrooms and 4.5 baths throughout. The residence formerly belonged to shabby chic decorator Rachel Ashwell, and is beautifully decorated with a stylishly eclectic bohemian aesthetic. Several spaces stand out, most notably the charming living room with floor-to-ceiling bookshelves, a fireplace, and French doors opening to a covered porch. The farmhouse-style eat-in kitchen features some fairly hypnotic tilework, and a second set of French doors, this time leading out to a gated courtyard. 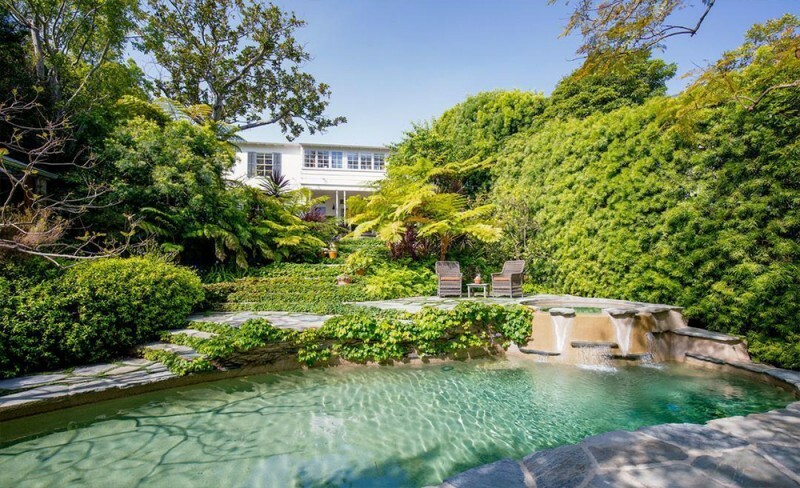 The property exterior was landscaped by Jay Griffith in the edge-of-wild style, with plentiful creeping vines and a secluded, semi-tropical feel. A pavilion, a paved patio with a fireplace, and a hideaway swimming pool and spa all appear to be nestled far from the madding crowd. Australian-born director Gillespie garnered three Oscar nominations this year for his hit bio-drama, “I, Tonya.” Last year, he paid roughly $1.6 million for a Craftsman-style bungalow in Venice.